The psychological consequences of spinal stenosis are medically-neglected aspects of vertebral canal narrowing. In fact, patients can suffer initiation of symptoms, perpetuation of symptoms and escalation of symptoms based entirely on psychoemotional, and not structural, reasons after being positively diagnosed with central canal stenosis. Doctors have traditionally failed patients by overlooking the psychoemotional consequences of disease, injury, treatment and aging. While they might successfully engineer the body, they do not pay adequate attention to the organ that controls every single bodily process: the brain, and more importantly, the mind contained therein. 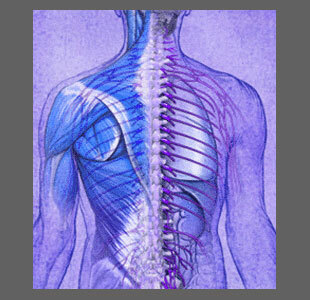 This vital essay examines the role of the mind in spinal stenosis expressions. We will explore how the diagnostic process can create, extend and worsen symptoms due to the nocebo effect and how many stenosis patients have found complete symptomatic relief from severe and intractable pain without pursuing any physical treatment whatsoever. When doctors accurately diagnosis symptomatic forms of stenosis, they must still account for the mindbody effects this diagnostic pronouncement will have on their patients. Regardless of how correct the diagnosis and prognosis for treatment may be, the patient is likely to suffer a diversity of negative effects from the verdict, unless specific psychoemotional strategies are utilized by the physician during the consultation. Being told that your spinal canal is being narrowed and that your spinal cord and nerves are being compressed is a terrible concept to imagine. Patients often are shown visual models of these events that conjure nightmarish visions in their conscious and subconscious minds. These visions are often made worse when patients are not informed of the virtually universal nature of stenosis, the relative ease and success of many forms of treatment and the generally positive prognosis for recovery, given successful care. It is common for patients to begin to suffer pain and nerve expressions immediately after diagnosis, even if they did not have any stenosis symptoms prior to discovery of the canal impingement. This is particularly true for patients whose stenotic changes were found inadvertently, when testing for some unrelated condition. Even if the patient has discomfort prior to the diagnosis, many patients will demonstrate an escalation of pain after the diagnostic verdict is complete. Both of these scenarios prove the mind’s ability to influence symptoms when it believes that pain is to be expected based on the prognosis given by the doctor. Even if the stenosis problem is successfully resolved using some form of conservative or invasive therapy, the patient may continue to suffer symptoms if the mind has been made to feel that the body has been permanently debilitated by the condition. This helps to explain why some patients who have enjoyed accurate diagnosis and successful treatment protocols still suffer pain illogically. Their psychological reaction to the diagnosis was extreme, so the mind simply can not put the structural issues in the past. The subconscious mind therefore continues to use the opportunity to generate actual symptomology. Far more important and also more common are the psychoemotional consequences of a mistaken diagnosis upon a patient. In these scenarios, the patient might certainly demonstrate the physical changes associated with stenosis, but the spinal canal remains patent and the nerve tissues unaffected. In some instances, patients have no pain prior to diagnosis, and often, the stenosis is once again discovered inadvertently when evaluating another health issue. However, even though the stenosis is not of a symptomatic degree, and even though pain never existed before the imaging discovery, symptoms ensue upon positive diagnostic confirmation. In other instances, patients already have back or neck pain and seek evaluation of the condition which results in a stenosis diagnosis being rendered. Once again, the stenosis is mild to moderate and shows no proof of influencing any nerve tissue. However, the patient is still informed that this canal impingement is the causation of their discomfort and they subsequently get worse, have pain last longer or even become completely disabled, simply due to the nocebo effect of the diagnosis on the mind, rather than any structural reason organically generated within the body. All of these scenarios can be documented with specialized nerve conduction testing, but seldom receive proper evaluation. Instead, most patients are simply ushered into unneeded treatment, typically of a surgical nature, and are left up to their own devices postoperatively, which explains why so few patients completely recover when the diagnosis is not 100% verified. It seems impossible to expect doctors to realize just how important the mindbody considerations of the stenosis diagnosis truly are. In all fairness, in the way doctors are currently educated, there is little mention of the role played by the mind in the causation or cure of seemingly structurally-induced pain syndromes. Therefore, most practitioners simply do not even consider the need to address the patient’s psychoemotional state when discussing a bodily diagnosis. Knowledge therapy can help to dispel the nocebo effects of any structural diagnosis and also to minimize the psychological overlay of pain that can not be treated medically. Knowledge therapy is also commonly used autonomously by patients with mistaken diagnoses to elicit complete cures for pain that seemed anatomically-motivated, yet turned out to be based on mindbody interactions. Coaching is a great support service that is endorsed by countless doctors. Pain coaches are specially trained to help patients cope with the physical, cognitive and emotional ramifications of their diagnoses and the therapies that are subsequently used to treat them. Coaches are experts in helping patients to reach full recovery, regardless of what type of diagnosed condition they are given. Even when recovery is impossible, coaching can still markedly and measurably improve the quality of life, while simultaneously diminishing symptomatic activity. The Cure Back Pain Network recommends The Chronic Pain Coach as an excellent example of a quality health coaching provider. Psychological therapies, such as counseling and psychotherapy, can help patients who suffer the worst mindbody effects from the diagnostic process, as well as assisting misdiagnosed patients whose underlying subconscious activity is the true causation of their suffering. Remember, psychogenic pain is rampant in the back and neck pain treatment sector and is almost never positively identified for what it really is. Read the full story on mindbody therapies for chronic pain in my worldwide best seller, Cure Back Pain Forever.